Right from the moment that you first read the series’ title, it should be apparent to even the most casual observer that Pretty Soldier Sailor Moon likely has something to do with space. As you read/watch more of the series, it continues to drive this home as new space-themed characters are added and the story leaves the boundaries of Earth to travel to the Moon, asteroids, and beyond. With all that in mind, you’d think that the climax of the series — named Sailor Stars no less! — would practically be a love letter to all things space-related. And you’d be right. 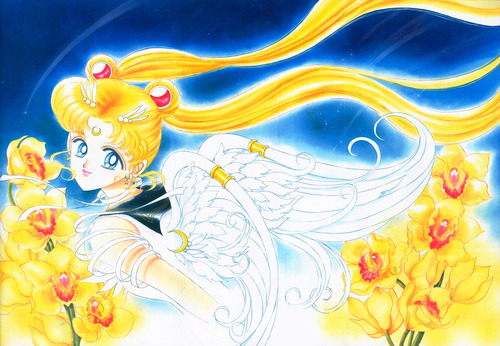 Today we’re going to talk about the less-discussed flower-themed imagery hidden within Sailor Moon Sailor Stars. You may want to put on some gardening gloves, because we’re about to get dirty! Who Is the Most Powerful Villain in Sailor Moon? 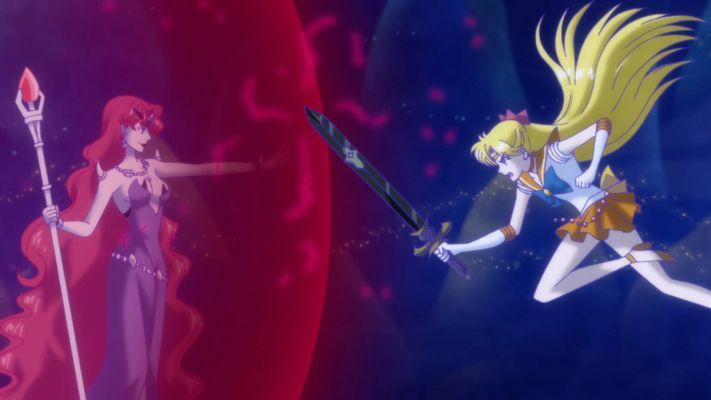 Though the battles in Sailor Moon may not be as action-packed as the ones you see in the likes of Dragon Ball or the Gundam series, the scale of what they fight for isn’t all that different: the Sailor Soldiers are generally all that stand in the way of the forces of evil enslaving, or even outright destroying, the people of Earth. But have you ever stopped to wonder about which of Sailor Moon’s enemies came closest to winning? Today we’re going to take a deeper look at the villains of the series and see if we can answer this important question. After all, there’s nothing more exciting than thinking about just how close the world has come to certain doom, right? 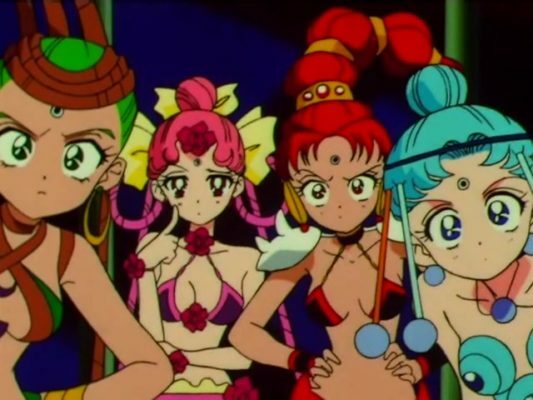 Why Did the Amazoness Quartet Serve as Chibi Moon’s Guardians? The Sailor Moon series is no stranger to making some seemingly inexplicable choices when it comes to groups and planetary associations. Jupiter, for example, is most definitely one of the outer planets… and yet we find her as a member of the Inner Senshi. Odd though that choice may be, it pales in comparison with the bizarre choice of having Sailor ChibiMoon’s team be made up of… the Amazoness Sailor Quartet? No matter what way you try to cut it, there really just aren’t isn’t any logical connection between the asteroid belt and the Moon. As we’ve learned many times before, sometimes the most difficult part of solving a mystery isn’t necessarily in finding the answer, but in finding the right way to frame the question. Today we’re going to take a closer look at the Sailor Quartet, and why Ms. Takeuchi may have chosen these manga-only Senshi to serve as Sailor ChibiMoon’s guardians. You may want to keep a pen and paper handy, because things are about to get complicated! Is the Sailor Moon Universe Full of Ghosts and Other Monsters? So we all know about Youma, Cardians, Droids, Daimon, Lemures, Phages, and even the oft-overlooked Genius Loci. But when you dig just a little bit deeper into the lore of the Sailor Moon universe, it becomes fairly clear that there’s a lot more than meets the eye — specifically, that there are other monsters out there that report back to no one, and that are simply running amok on their own accord. After all, if Rei is able to commune with spirits there must be something more out there than just the simple back-and-forth of good guy vs. bad guy that we see play out in the series, right? 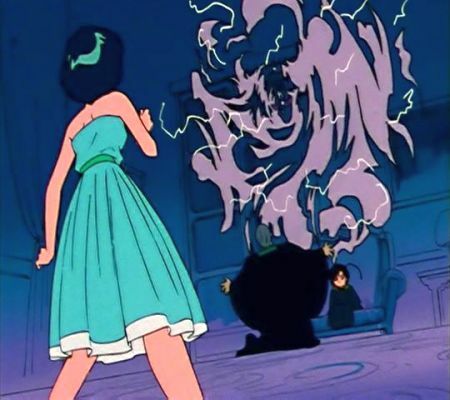 I think it’s about time that we discuss these lesser appreciated “villains” and the role that they play in the Sailor Moon universe. It can be lonely being a freelance villain, and I think it’s about time that they get the attention they deserve! Who Do the Genius Loci Villains in Sailor Moon Work For? If this was your first response upon reading the title, I really don’t blame you. The Genius Loci — not Loki, the aforementioned brother of Marvel‘s Thor — are a small subset of villains in the Sailor Moon universe that frequently end up end up getting overlooked. Though often clumped together with the Lemures and the Dead Moon for reasons I’ll discuss below, it turns out that we actually know very little about these (mostly…) manga-only enemies, where they come from, and — possibly most importantly — who they work for. Today we’ll be talking about the peculiar state in which the Genius Loci live, work, and perform evil deeds, and see if maybe we can learn a little more about their role in the Sailor Moon universe while we’re at it. Stick around! Are Sailor Lethe and Sailor Mnemosyne Sisters? 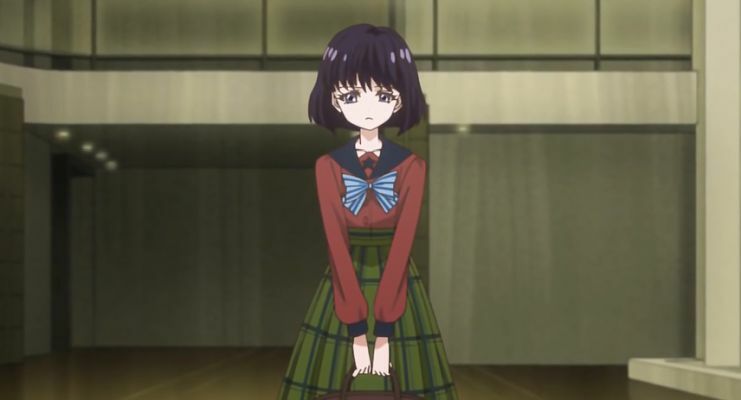 Though hardly on the same level of the brutal Sailor Moon debates we’re used to dealing with here on this blog, the subject concerning the connection between Sailor Lethe and Sailor Mnemosyne is one of those seemingly simple issues that the fans can never quite agree on. 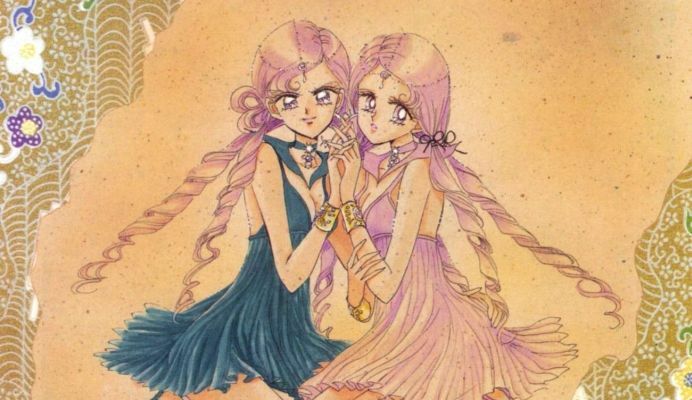 If these two are sisters, then that opens up a whole new slew of questions, such as the nature of their seemingly romantic relationship and how two related people could each have their own Sailor Crystal. If they aren’t, why do they look so much alike?? Today we’ll be taking a look at Sailors Lethe and Mnemosyne — the so-called “sister Senshi” — to see if they really are related, and just what’s going on with all this Sailor Crystal confusion. You might want to grab a science book, because this whole issue is about to get astronomical!